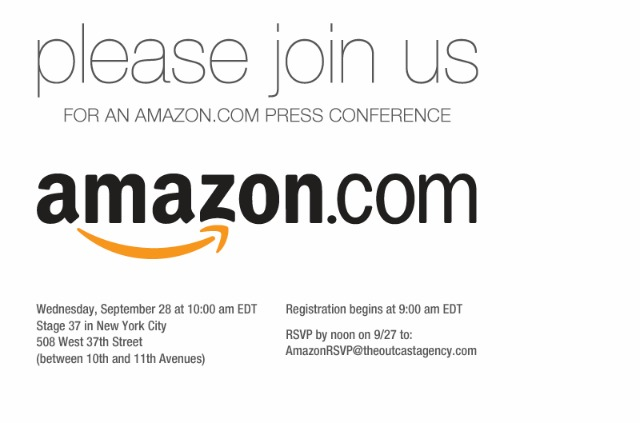 Amazon Press Conference, Will We See Kindle Fire? So what is Amazon up to ? There are rumors that Amazon is preparing to launch their own tablet. 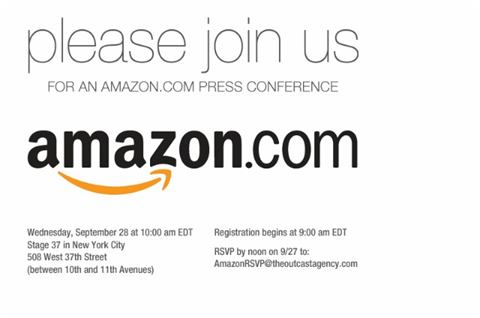 Below is an invitation from Amazon as posted by Mashable on their site. The invite (see below) is for Sept. 28 at 10 a.m. ET in New York. No other details were given by Amazon. Tech enthusiast are waiting for the what so-called “ Amazon Kindle Fire “. Apparently the device will have an Android OS, 7 “ size. But there are no clear details about the specification and other products that will be launch by Amazon during the event. The mentioned table is tagged as “iPad Killer” but there are no reviews that could be seen on the net. So will “Kindle Fire” be unveiled on Wednesday ? Stay tuned.